It has been a long while between posts, and I guess, even longer between any sewing activity. I made a pair of boxers for my husband last month, one of 5 pairs, in seersucker, but that is not really anything to write home about. I've found it hard to get motivated lately. Husband has been away a fair bit, and I have been home alone with the kids, add to that being tired all the time, and wanting to crash as soon as the kids are in bed at night, and curious kids getting up to no good in the sewing space if I try and sew while they are awake...so all told, it has meant no sewing. It has been the month of Ramadan for us, beginning August 12th. So while it has meant far less cooking, it has also meant other things to do that have kept me from sewing as I would have liked. Having kids now who are old enough to appreciate this aspect of our faith has also meant that my husband and I, both converts to the Islamic faith, are finally beginning to feel like we are starting a family tradition of our own. 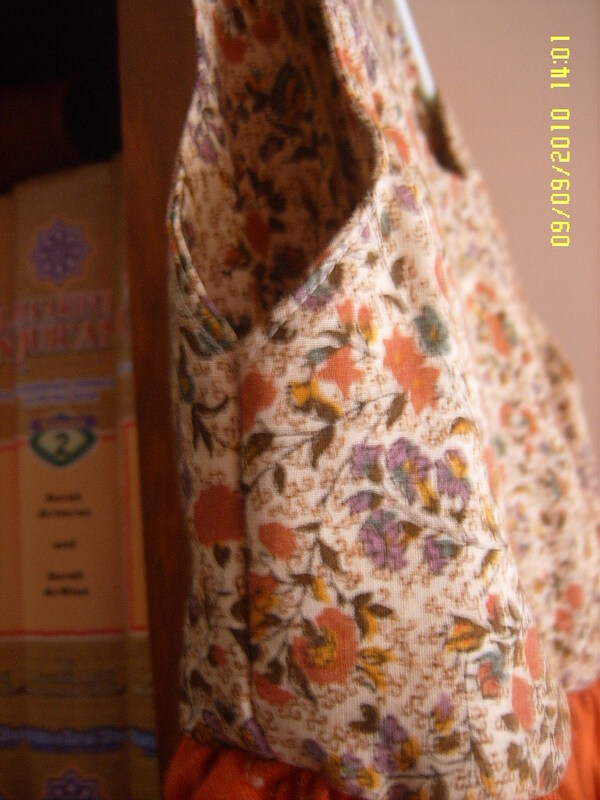 Anyway, sewing-wise, it is one of the special things for celebrating that one wears new clothes to the 'eid prayer, and since I am not currently working, and husband is studying and working, it has meant budgetary constraints. 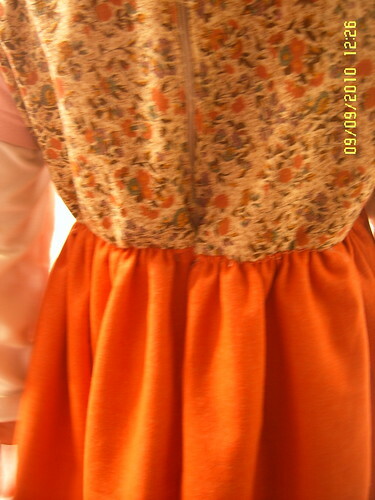 So I decided yesterday to sew my eldest daughter, 4 and 1/2 years old, a dress for 'eid. A bit last minute, I know, but it was the motivation I needed to actually push past the tiredness to just do it! 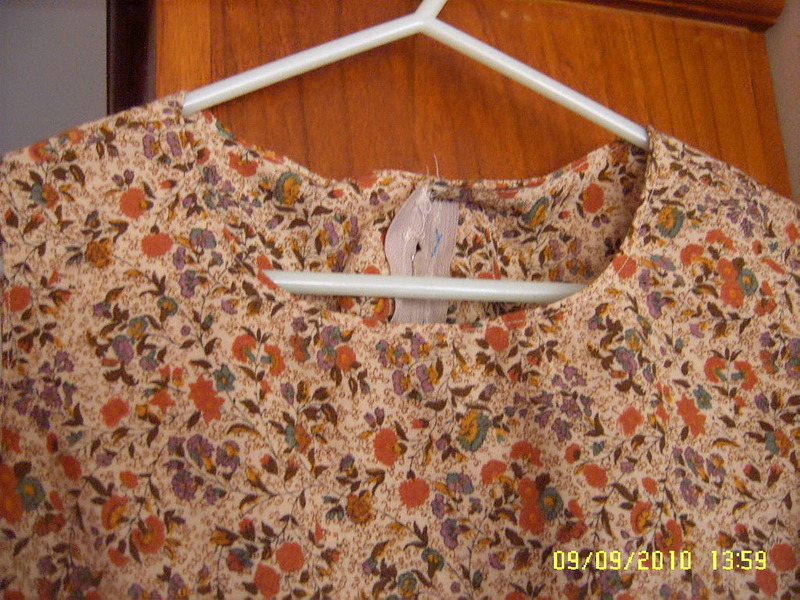 I had had Butterick 4906 in my stash for quite a while, and meant to use it for the dress in the Wardrobe Contest a few months ago that never even began. So I figured, what better time than to start now? 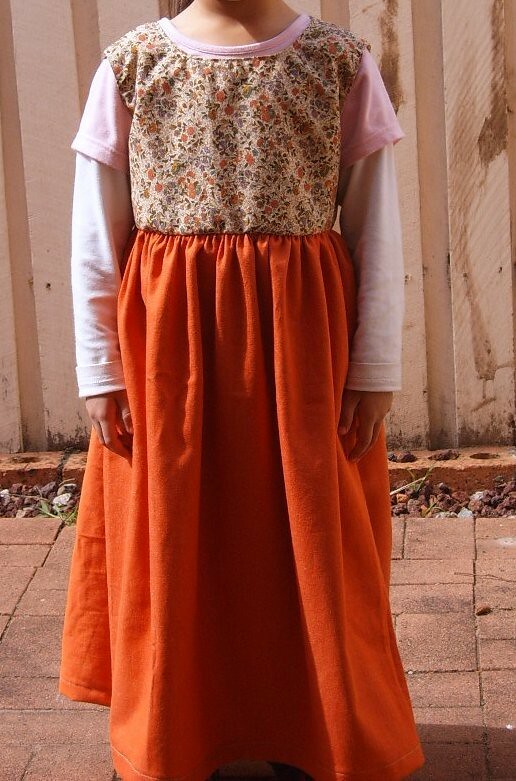 I had already traced the pattern, in size 4 (104cm), and DD picked the cotton for the bodice, and the lightweight orange stretch denim for the skirt, and so it all began. 1. The bodice is lined. 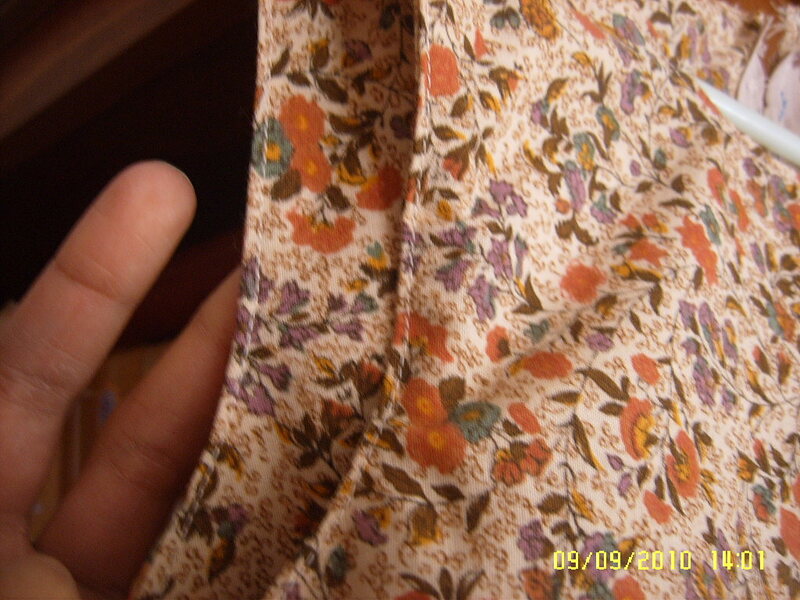 I ended up self lining it, and got very nice results for the bodice itself, until the zipper. So, not happy with these at all. On the plus side, she'll be wearing a scarf to the prayers etc, so the messy bits will all be hidden, and even if she wasn't, her hair would be covering the worst of the mess. But still...I feel bad that this is what I am going to put her in. She'll have some room for growth in it, since she is average height, and very slim (T2). 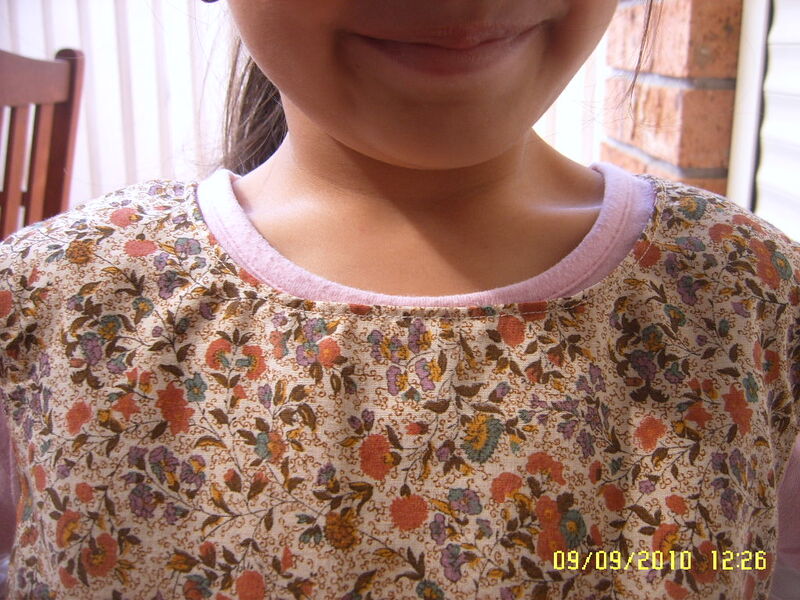 She is really happy with it and can't wait to wear it. So I guess, next time around, I'll have a bit more of a think about the order of construction, instead of just following Butterick and then finding myself in a soup. I am glad I am sewing though. And while I would not have called this project "very easy", it is not difficult. I have not done zips in a looooong time, so it was a bit of a thinking process. Having never done a zip in a lined anything, I still don't know what I did wrong. And the gathering of the skirt, using gathering stitches, just did not work with denim, so I ended up using elastin, and still having to do it twice to achieve some uniformity of the gathers so that it all kind of lined up. Still, live and learn I guess! All told, it took me about 4 hours to cut, and sew from start to finish, not including tracing time. Not bad I guess. And when I did get started I began to enjoy the process again, especially the lined bodice, with the nice flat underlining, and no puckers etc. Very happy about that! Eid mubarak, may your fasts be accepted, and ours for those who observed Ramadan. It looks so pretty! I'm not surprised your daughter loves it. Butterick's instructions indeed don't sound very helpful. 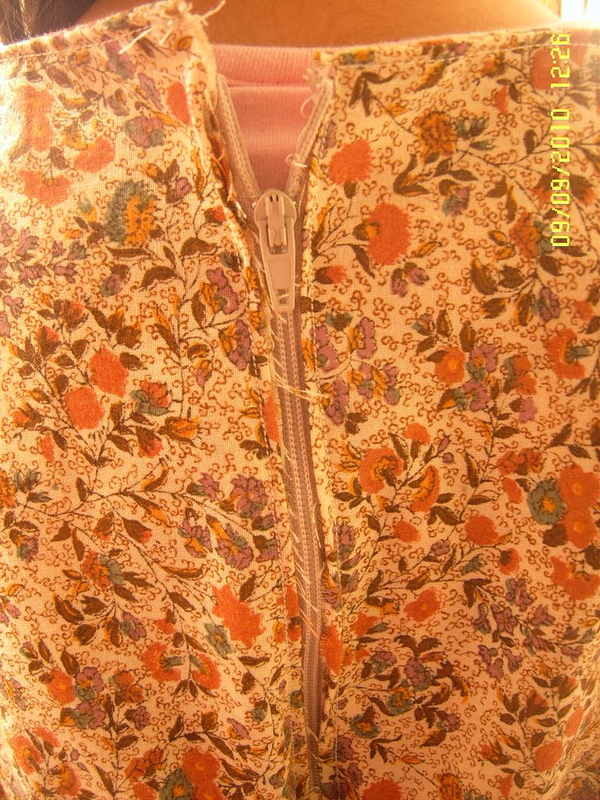 I think it is more usual to put the zip in the unlined bodice, and then put the lining in rather than the way they recommended. It does sound like they made it a bit complicated.